The kokako is a wattlebird found in New Zealand named for the bright blue wattles found under the throat. It is a medium-sized bird with blue-gray feathers and a black bill. It also has a blue highway-man mask in striking contrast to the wattles. There are two subspecies of kokako: the North Island kokako (Callaeas cinerea wilsoni) found in small fragmented areas of North Island and Great Barrier Island, and the South Island kokako (Callaeas cinerea cinerea) formerly found on South Island and now thought to be extinct. Both subspecies are similar in appearance, but the South Island kokako has bright-orange wattles. The wings of the kokako are small and weak for its size which limits flight and gliding to short periods of time. Kokakos therefore prefer to run and jump from tree to tree using their strong and long black legs. Kokakos prefer middle to lower layers of temperate forests with a variety of plant species and where there is very little human disturbance. They are omnivores, feeding on leaves and fern-fronds in the winter, and fruits, nectar and insects in the summer. The most distinctive feature of the kokako is its haunting, organ-like song which consists of loud, clear and melodious notes. They are known to sing together with other kokakos in the area from the top of tall trees, producing an extraordinary chorus sound to defend their territories. 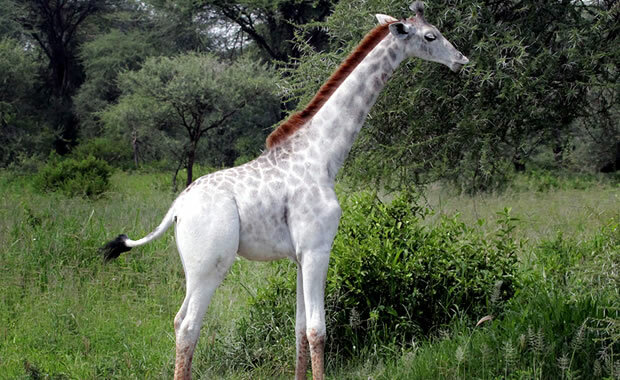 Breeding occurs between November and February and can last until May if food is abundant. The male and female are known to pair up from one year to life, and they have also been observed singing "duets." The female builds a large nest between branches high up in the trees and lays two to three eggs. The eggs hatch after 18 days of incubation by the female, and the male is in charge of finding food for himself, the female, and their young. Kokako populations have declined due to loss of habitat to deforestation and also predation by introduced species and competition with other introduced birds. Today, only about 400 pairs remain in the wild. The last confirmed sighting of the South Island kokako was over 30 years ago. Although the South Island kokako has been declared extinct, conservationists have not given up due to many unconfirmed sightings. Today, all remaining kokako populations are protected by law and some birds are protected in reserves. Glenn, C. R. 2006. 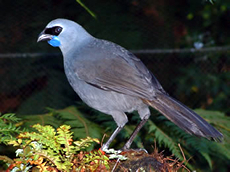 "Earth's Endangered Creatures - Kokako Facts" (Online). Accessed 4/21/2019 at http://earthsendangered.com/profile.asp?sp=225&ID=4.